ISLAMABAD: Egyptian Mohamed Elshirbini clinched the Serena Hotels Huawei International Squash Tournament for Men Trophy, by defeating Farhan Mehboob of Pakistan at Mushaf Squash Complex. 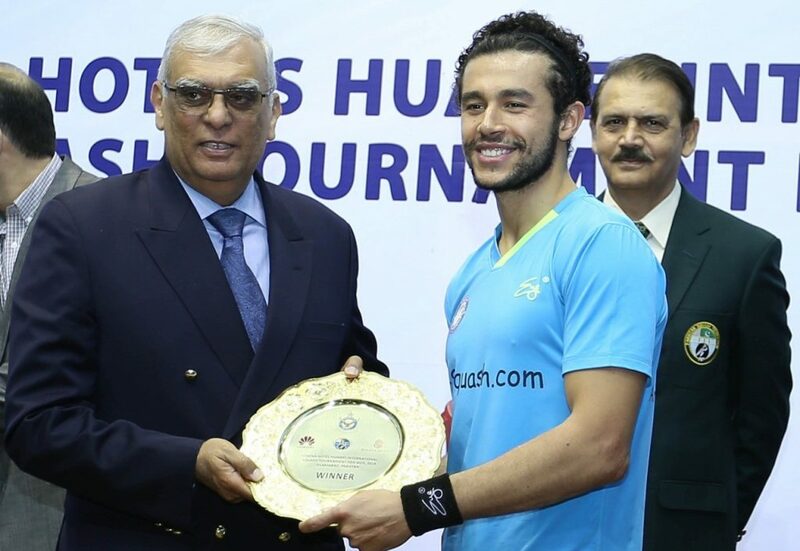 The final of Serena Hotels Huawei International Squash Tournament for Men was a thrilling contest between Farhan Mehboob and Mohamed Elshirbini. Mohamed Elshirbini dominated his opponent in the first game and easily won it with the game score 11/5. The second game was convincingly won by Farhan Mehboob with the game score 11/5. The third game was a close contest, which was won by Farhan with the game score 11/8. Mohamed Elshirbini came back in the match by winning fourth game with the game score 11/7. Mohamed Elshirbini also won fifth and final game with the game score 11/8 and clinched the prestigious title. The match lasted for 51 minutes. Lt Gen (Retd) Syed Arif Hasan President Pakistan Olympic Association, was Chief Guest at the occasion. Air Marshal Shahid Akhtar Alvi, Senior Vice President Pakistan Squash Federation and former World Champions Qamar Zaman, Jan Sher Khan were also present.